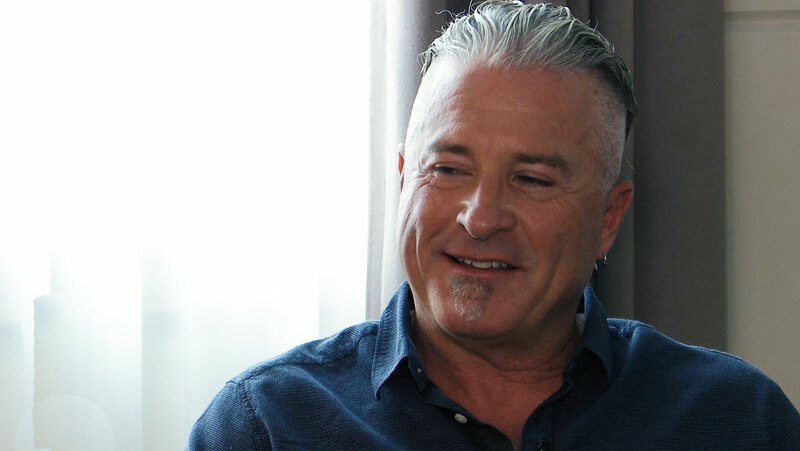 After five years away Calvin Ayre has returned to the media scene and has chosen to conduct his first video interview dedicated to the subject of Bitcoin here in London with CalvinAyre.com. When asked what in the world he’s been up to for half a decade, Ayre responded with, “I’ve had a wonderful holiday in Antigua [laughs]. All joking aside, I’ve been involved in the Bitcoin industry. I did my first investment into a crypto-currency company in 2010 and since then I’ve done a number of other investments and I’ve got more coming down the pipe”. Ayre, who now holds the official title of “Bitcoin Entrepreneur and Economic Envoy to the Government of Antigua”, is a huge supporter of Bitcoin Cash (BCH), the progeny of the Bitcoin blockchain hard fork on August 1, 2017. “Myself and a lot of other people as well that I’m working with in the industry believe that massive on-chain scaling and the subsequent low transaction fees that we believe will come out of [BCH] is what’s going to drive the crypto-currency movement. We think low transaction fees will increase the velocity of transactions and will increase the value and security of the one public Blockchain which I believe will be BCH”, Ayre revealed. One of the challenges with BCH at present is the general public’s lack of understanding on why the currency is such a breakthrough for Bitcoin and even if people do understand, they don’t know how to get a hold of BCH. “I would start by advising everybody that owned BTC before the fork to learn how to split their BCH out because a lot of people actually have it and don’t know it and if they don’t go to the exercise of actually splitting it and getting it, it could be lost forever”, shared Ayre. “People who aren’t in the economy at all, clearly they are have to do some research and find an exchange that services their country and go in there and learn how to do it and buy it, put it into a competent wallet and not only sit on it if you think that’s a solid investment, but also use it for transactions”, he said. “Now that BCH is here and the transaction fees are going to be coming down, in fact they’ve come down substantially already, there’s going to be a lot of opportunities on the internet to actually use it as a value transfer”, he added. While Ayre has clearly dedicated himself to the growth and success of Bitcoin Cash, there is plenty of hype surrounding the hundreds of “Altcoins” in existence today such as Ether (the token used by Distributed server processing system Ethereum) and Litecoin. “Altcoins is a phase. It’s a phase we’re going through right now. There’s a chance that there will be a niche for some altcoins, but its very unlikely to me”, Ayre shared. “Mostly I think most people are going to lose 100% of their money with Altcoins and really at the end of the day the one secure, public Blockchain that will remain standing when the dust settles in one or two years from now will be able to do everything. There’s nothing that any other Altcoin can do that Bitcoin can’t do”, he said. “You just have to ask yourself, do you need two internets? Do you need two music protocols? Do you need two fax machine protocols? Well the answer is ‘no’. You don’t need two secure, public Blockchains and BCH can do it all and it will”, he added. With the freedom to travel wherever he pleases these days, one must wonder why Ayre chose London as the location to make his first media appearance in years. 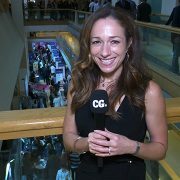 “I was recently appointed as an Economic Envoy for the Government of Antigua, specifically focusing on trying to create an industry around Bitcoin and also to polish up the existing industry in online gaming. There’s some things I can fix there, but the real opportunity for Antigua is to get into this burgeoning new cryptocurrency space. The convergence of online gaming and Bitcoin is actually in London, it’s the global leader in both those spaces right now”, shared Ayre. “So I’m actually in London to meet with the Antiguan High Commissioner and what I’m hoping is that we can find a way to get more connections between both of these industries back to Antigua, specifically with Bitcoin. I think that there will be opportunities. The government of Antigua is very supportive of Bitcoin and in fact they are right now working on changing their laws to make it more hospitable for Bitcoin start-ups in certain areas”, he added. Spending a lot more time in London and other locations around the globe is something Ayre is looking forward to over the coming years, but his heart will always hold a special place for the beautiful country of Antigua and Barbuda. Ayre’s Foundation is dedicated to providing hurricane relief to Barbuda, something the tiny island is in desperate need of after getting hit by a category five hurricane a few weeks ago. “Climate change is real. The storms are getting bigger and Antigua does need help right now. I will make an appeal right now that you can go the Antiguan Government’s website or you can go to my Foundation website and you can find out how to donate money to the Government of Antigua. My Foundation does not accept money although we are allocating funds from my Foundation to this great cause”, shared Ayre. ***Donations can be sent to the Official Barbuda Relief & Rebuilding Fund via the official government website. NB: BCH has lower transactions fees and, as a result, is the preferred Bitcoin to be used. There is no need to send receipts when you donate using either BCH or BTC as it can be seen in the blockchain. For cash donations, send Bill@calvinayre.com a copy of your receipt and the Calvin Ayre Foundation will add an equal amount to the money.